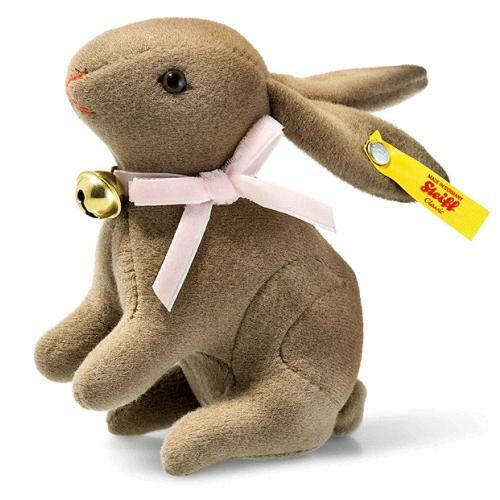 Hazel Rabbit is from the Steiff Classic collection and is hand made in beautiful brown Trevira velvet and wears the famous stainless steel button in ear along with the yellow tag. 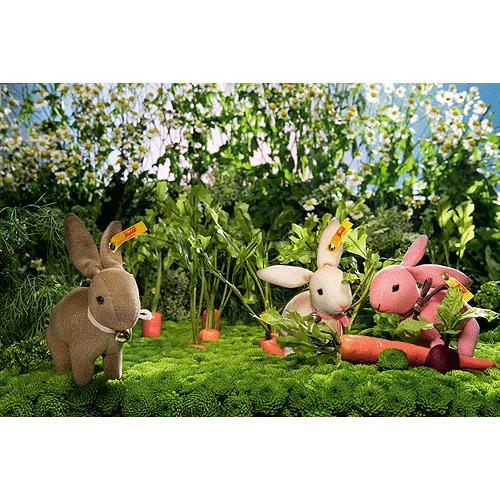 Hazel rabbit is crafted from the finest Trevira velvet and wears a little bell attached to a white ribbon to match the brown fur. Her paws and the tips of her ears, nose and mouth are applied with airbrush features. Measuring only 11 cm, she fits in any handbag and becomes an ideal travelling companion. Softy and cuddly, trusting and loving, that's Hazel rabbit from the Steiff collector's world for adults.